We are licensed to operate in Texas - MPL 20904. When looking for the finest pipe repair or installation service, you need look no further than David Hicks Plumbing. 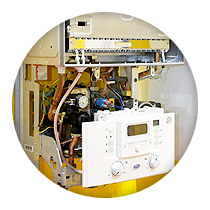 We handle everything from performing a water heater replacement to conducting an inspection of all water and gas pipes. Our goal is to provide you with the finest services possible, with a focus on upfront pricing and the highest quality consistency in results. David Hicks Plumbing is a family-owned plumbing services provider that has attended to the needs of the Houston, Texas, area for more than 60 years. 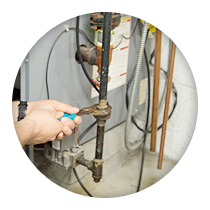 We are a licensed plumber, and can quickly handle any water or gas challenge you may have. Our employees, all of which are licensed and bonded, have more than 20 years of experience in their fields, and some have more than 40 years of experience. We have earned a reputation for excellence in the community, due to our honesty and focus on your needs. Plumbing for us is a family tradition, with many clients coming back to us year after year since we started in 1952. 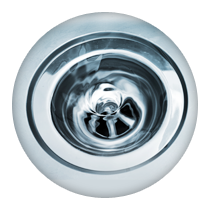 As a second-generation business, we continue our focus on providing comprehensive plumbing services for all residential and commercial clients. We only use the finest materials in our work. This includes PEX piping for all remodels and pipe repairs. 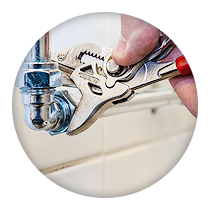 We believe that you should trust your plumber, just as you trust your doctor, and go out of our way to earn that trust.